Falsification is central to science (Popper 1945, 1952, 1963). Thus, while most of the original null hypotheses were not rejected, the goal of the project was incremental scientific advancement. At least one, perhaps two, styles of Guerrilla behavior: wary guerrillas and other guerrillas were identified. Both guerilla styles were correlated with Egoism in public goods game, and were further correlated to certain political and philosophical factors. 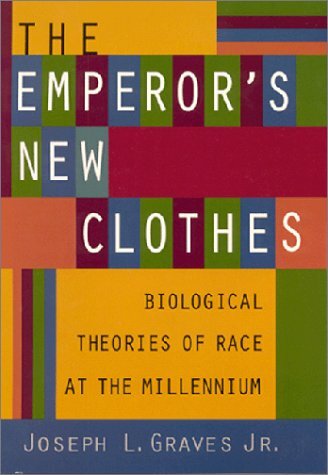 Goodin (1984) writes, in order to â€œmake the theory of games plausible as a representation of behavior… we must introduce some of the sense of structure and continuity that characterizes our actual lives.â€ Many different types of changes in how information is presented can change behavior (Lupia, 2002; Bower, 2006; De Martino et al., 2006; Mutz, 2006). Indeed, the experimental findings such as the results that people who believe wrong deeds should be punished, are not more likely to punish, forces scholars to consider that not only may the self-report question be invalid, but gameplay as a whole be invalid. Therefore, finding a way of validating these results is key. Fortunately, a similar situation is familiar to students. Often a well-meaning professor will assign group work where everyone in a group gets the same grade. These are similar to economic games, in that each student has the ability to cooperate or defect. Instead of an equal contribution leading to different rewards, as in the ultimatum game, unequal contributions lead to identical rewards. It should be possible to create similar conditions in a laboratory experiment such that the game mimics real-life experiences with group projects. For instance, a participant and a confederate may be tasked with completing some moderately complex task. Grading would be based on completion and effort. Roles would be â€œrandomlyâ€ assigned to each of the students, with the participant assigned as Decider (able to make the final decision) and the confederate assigned as the Reporter (supposedly tasked with telling the instructor how much work each member put in). The participant would be informed that the Reporter will be working alone for five minutes, then the Reporter and Decider will work together, then the Decider will work alone. Thus the confederate would put in minimal effort and leave early, while still completing a report indicated that the participant had put in minimal effort, so the split of extra credit would be epsilon for the participant. Because the confederate had left early, the subject would be able to either complete the assignment and receive the unfair allocation or not hand it in, thus rejecting the unfair allocation. The above experiment would allow us to test whether the Wary Guerrilla type extends to something similar to classroom interactions. It could also be extended to determine whether Wary Guerrilla activity is different in different domains, as different forms of pro-social activity may have evolved separately (Smirnov, Arrow, Kennet, & Orbell, 2006). Thus, keeping the pay-offs the same while altering presentation can shed even more knowledge on the issue. 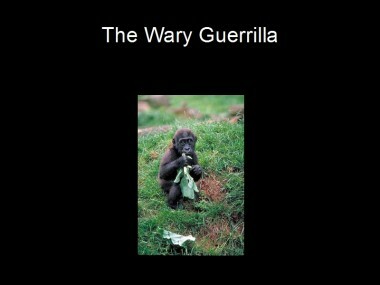 Other areas of future research include an extension of the Wary Guerilla framework across cultures. While these ideas are still in a nascent development stage, they might seek to answer several questions. Do all societies have wary guerillas in their midst and are they occurring at roughly the same proportion? Will the correlations relating to absolutism and contextualism found here and with other research endeavors be found amongst other cultures? Will there be the same proportion of absolutists and contextualists, or cooperators and punishers, amongst a sample of various religious groups? If feasible, the relevance of this proposed study would be benefited from a sample of fundamentalist and moderate Muslims living in the Middle East, fundamentalist and moderate Jews from Israel, and fundamentalist and moderate Christians from the U.S. This would enable analysis of the impacts of various religions and the results could assist in further determining if absolutism is positively correlated with strength of religious belief across cultures. The findings of this research are motivating to further explore these typologies.